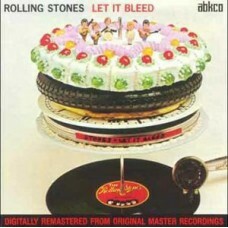 Limited Edition vinyl LP repressing of this classic Rolling Stones album, originally released in 1969. Considered to be one of the band's finest full length platters, Let It Bleed features 'Gimme Shelter', 'Love In Vain', 'Midnight Rambler' and 'You Can't Always Get What You Want'. Decca.